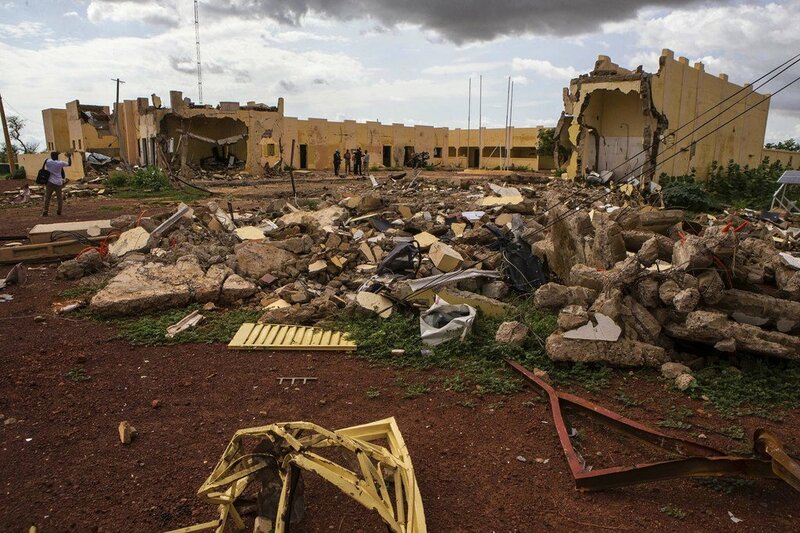 The aftermath of a terrorist attack against the G5 Sahel Joint Force headquarters in Mopti, Mali. Terrorist attacks not only claim many lives but also aggravate already fragile humanitarian situations. United Nations Secretary-General António Guterres launched a new Organization-wide framework on Thursday to coordinate efforts across the peace and security, humanitarian, human rights and sustainable development sectors. Termed the UN Global Counter-Terrorism Coordination Compact, the framework is an agreement between the UN chief, 36 Organizational entities, the International Criminal Police Organization (INTERPOL) and the World Customs Organization, to better serve the needs of Member States when it comes to tackling the scourge of international terrorism. Speaking at the first meeting of the Compact’s Coordination Committee, at the UN Headquarters, in New York, Mr. Guterres highlighted the need to ensure full respect for international human rights standards and rule of law in countering terrorism. It also looked into the organization of work and ways to improve the delivery of an “All-of-UN” capacity-building support to Member States.